The Mets have died, so who is rep'in our city now? New York Knicks. The boys are back in town! YAY. 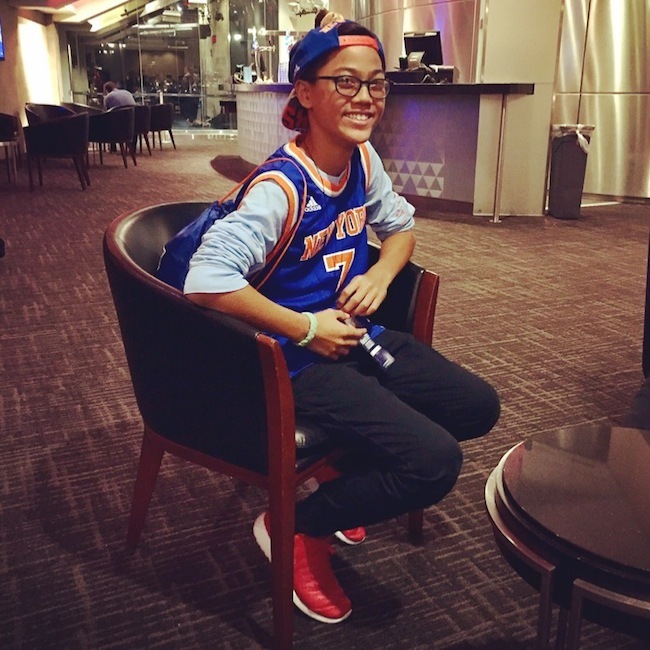 First pre season home game against Brooklyn Nets was over the weekend, and it fell on my big guys 12th birthday. 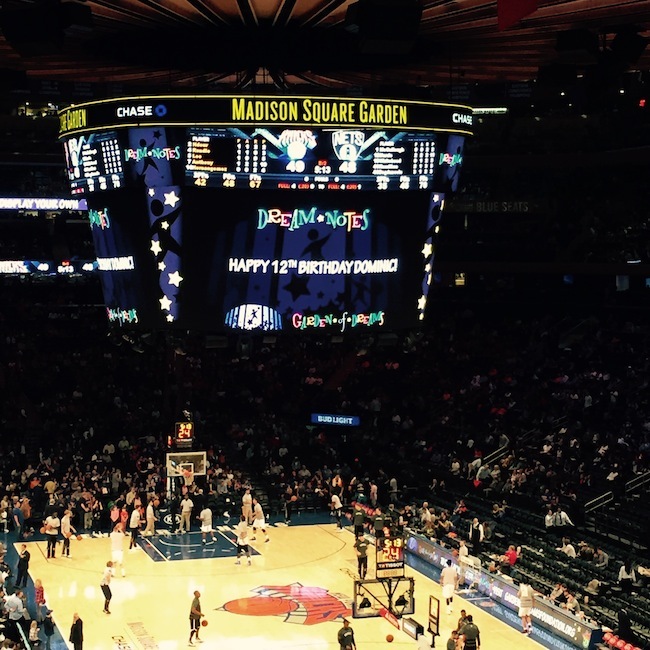 Did we celebrate at the Garden? You know we did, as we did last year and the year before! Not a surprise. 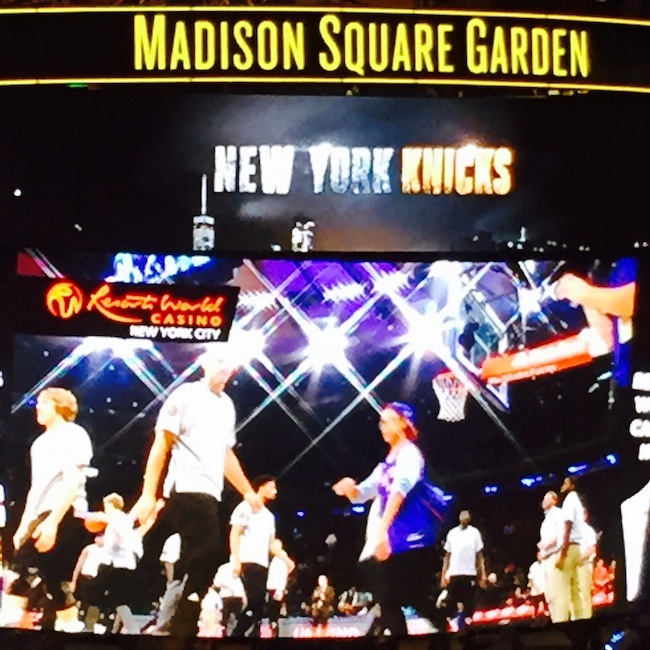 But we bumped it up a notch this year with the awesome Knicks Pre-Game Experience. Yeah…Mama got the plug! 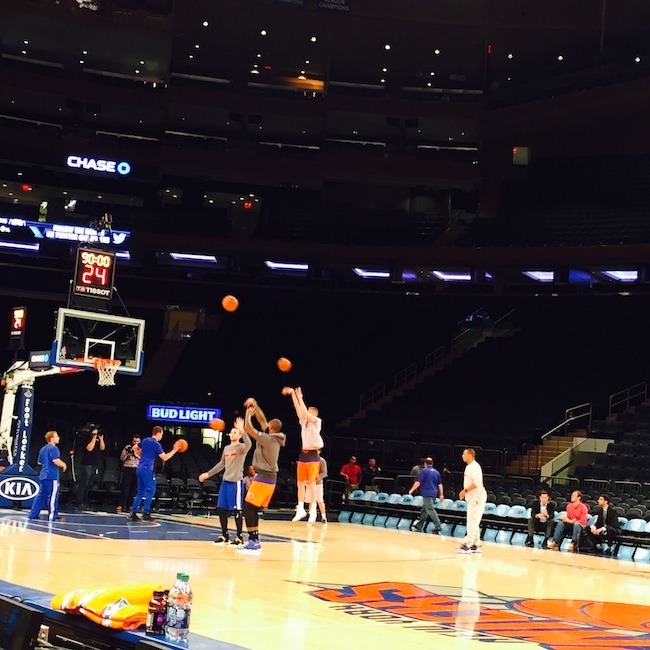 We had access into Madison Square Garden 2 hours before game time, and before the general public was allowed entry. Got to sit court side and watch the players warm up and pre-shoot. 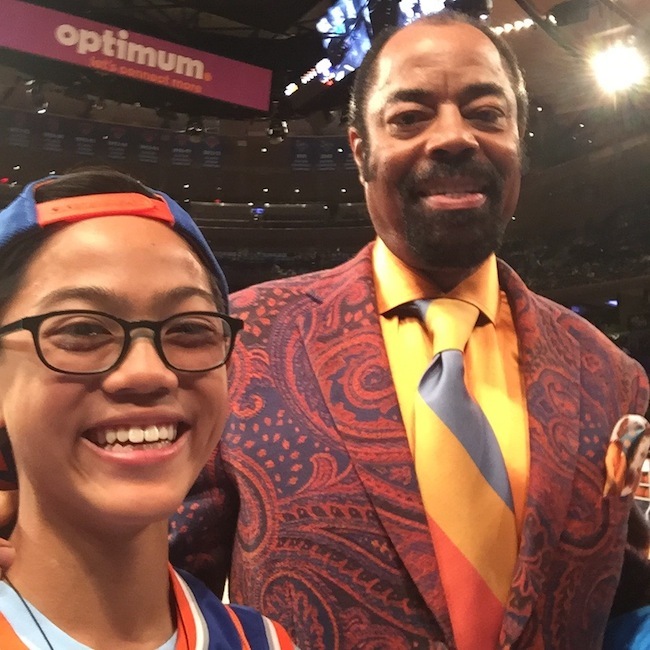 Met Knicks alumni and now commentator Walt Clyde Frazier. Look how fly he was dressed! Love it. Stood at the locker room gateway to high five the players in procession as they ran on to the court for game time. 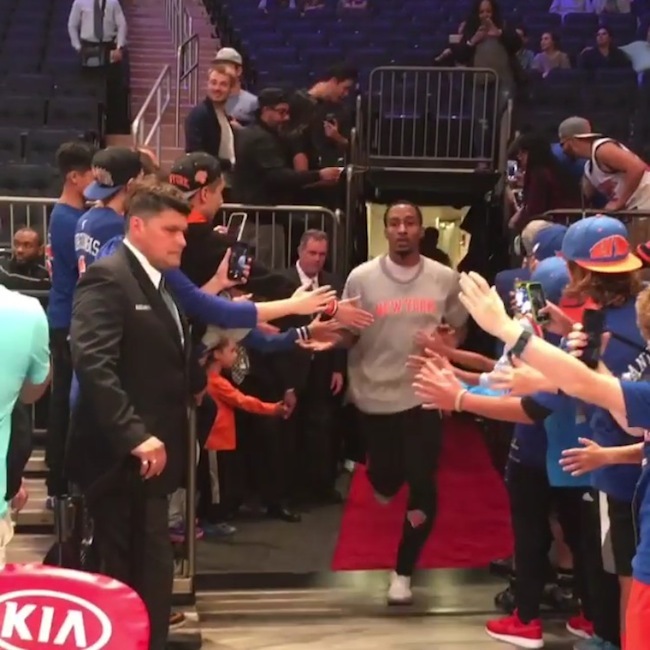 Then only the birthday boy was allowed to go on the court with the Knicks for the national anthem and shoot around. Yes…that's my kid! Goodie bags were given to our whole party. 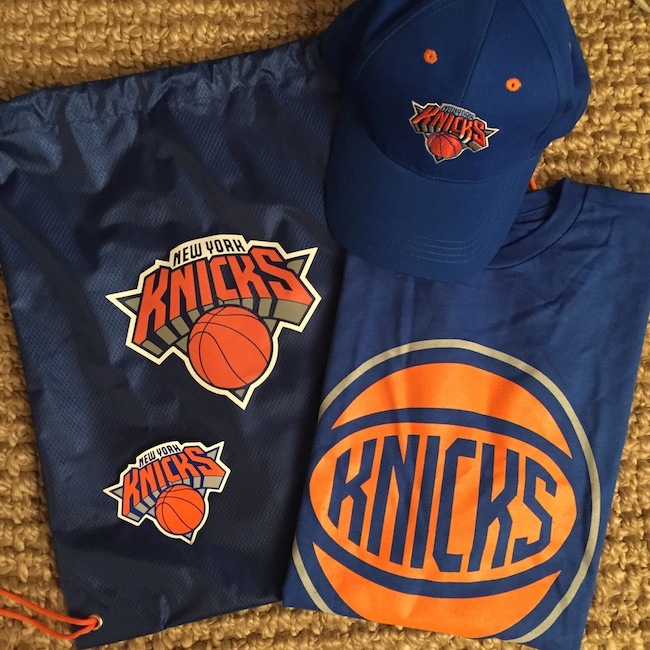 A drawstring backsack, t-shirt, cap and sticker. Pretty awesome fan memorabilia. Lastly he got a message on the Jumbotron at half time. It was epic. So many perks. A dream experience. Still living the high days after, and I'm sure it will be a life time memory. Gift it or do it if your also a b-ball fan. It is all the hype!